On June 2nd, my son Ryan officially graduated from the 8th grade! My wife and I are very proud of Ryan and how much he has accomplished. It seems like only yesterday that we took Ryan to his first day of Kindergarten. In nine short years, he has grown from a little boy barely out of diapers into a bright teenager who is ready to grow into adulthood. As I was growing up, I took for granted how much I learned during these years. But seeing my son’s growth through the eyes of a parent, I now truly appreciate and marvel at a child’s ability to learn. As a father, I strive to be an example and role model to my son. Looking back on it though, I realize that there are so many things I learned from him. I have seen through Ryan how attitude and outlook can have a significant impact on our ability to succeed and be happy. I’d like to share with you four of these “childlike” traits that we all still possess inside of us but may have forgotten about as we got older. 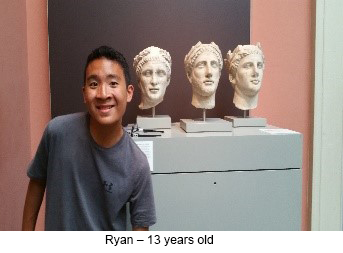 As a young boy, Ryan would do anything we asked him to do without complaint. Whether it was reading a new book, playing the piano, learning how to play various sports, or excelling in school, Ryan took on whatever was in front of him enthusiastically. Everything was just fun. There was a sense of joy in all he did and he lived in the moment. As we get older, things tend to get less fun and we forget how to be present and just enjoy what we are doing right now. So, let’s be enthusiastic and try to find joy in all that we do. Enthusiasm leads to optimism which in turn leads to happiness. Ryan has a sense of wonder about the world and wants to learn all he can about it. This is probably because a lot of what he saw and experienced was literally for the first time. Why” and “How” are words we heard so much in our house as Ryan was growing up. He was always questioning things and wondering about how this or that worked. He would ask about things we take for granted as adults. His curiosity led to his love of reading which he did constantly. As we get older and busier, we become less curious and more accepting of the world around us. So, let’s take a moment each day and question one thing and search Google until we are satisfied with the answer. If we learn one new thing each day, imagine how much smarter and wiser we will be in just one year. 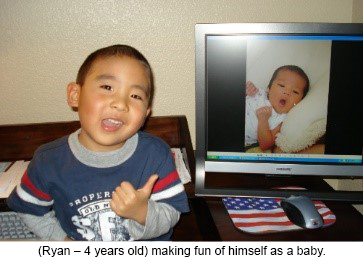 Like most children, Ryan was never afraid to learn something new because fear of failure or embarrassment of not doing something “right” never crossed his mind. Whether it was learning how to play baseball, swim, ride a bike, or ski, Ryan was never afraid to try. Part of the reason for not being afraid was due to his enthusiasm and natural curiosity to experience new things. This fearlessness also meant he did not have any inhibition. He was not afraid about looking or acting silly. He took great joy in just “being a kid”. As we get older, we lose this fearlessness and become more conscious of others and are concerned about the consequences of our actions. So, let’s try not to let our fears and insecurities prevent us from doing things we really want to do. Who knows where it may lead. If there is one trait that Ryan has that we are proud of it is his dedication. Once he puts his mind into doing something he won’t quit. He loved solving puzzles and worked seemingly day and night playing with his Legos, transformers, and later learned to solve the Rubik’s cube (!). He has taken this same dedication to his love of music, sports, and school. With so many things going on in our lives, there is more of a tendency to lose our focus, stamina and patience that we are unable to fully dedicate ourselves to learning new endeavors. So, let’s try to be more patient, not give up, and stay dedicated to our passion and goals. Ryan will be headed to high school in the Fall. In the next four years, he will grow from a teenager into an adult. I hope that he will hold on to his childlike qualities and continue to be enthusiastic, curious, fearless, and dedicated in all that he does. If we can do the same in our lives, there is no telling how many more goals we can accomplish for ourselves. If nothing else, life will be more fun.